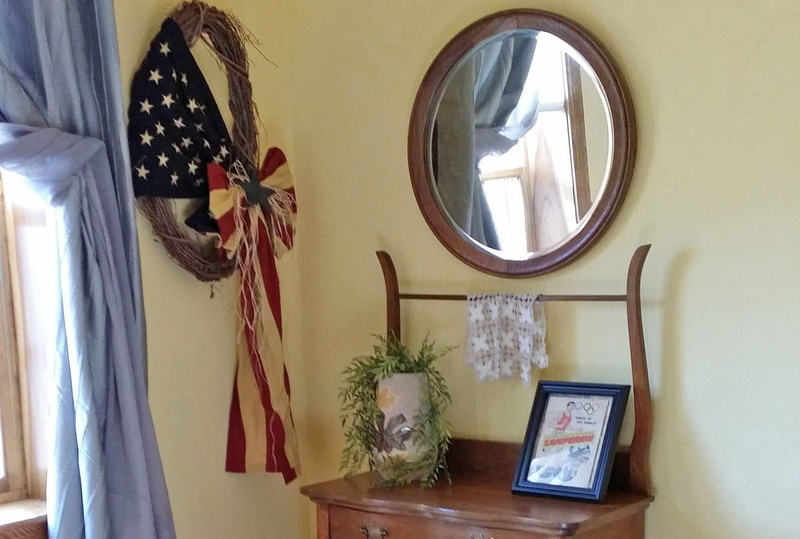 Louie’s room is a quaint colorful room full of history and patriotic charm. 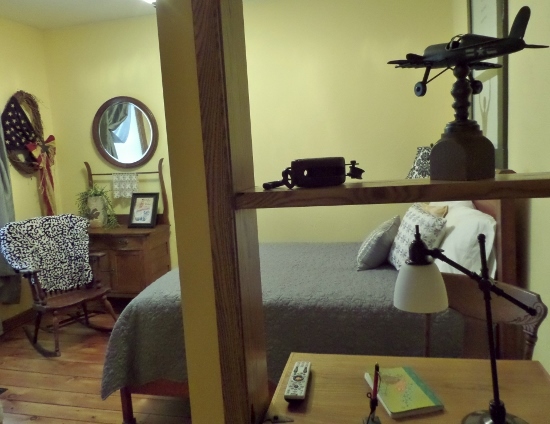 Bits and pieces of the lives of the two soldiers it was named after are reflected here. 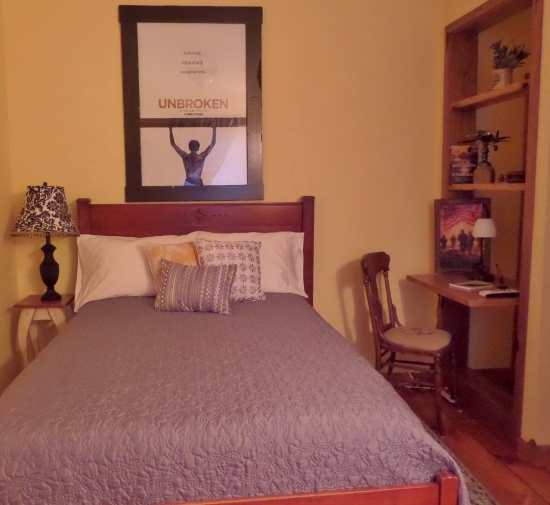 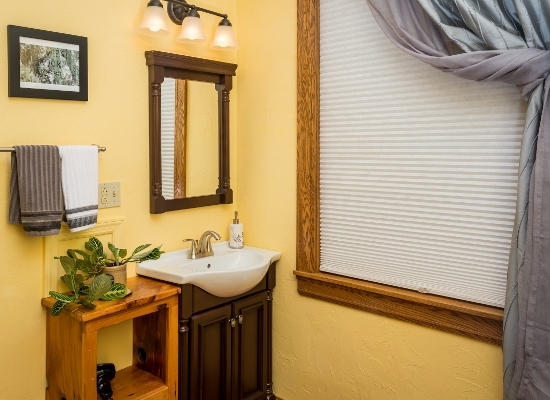 This bright and cheery room offers a full size bed and private bath.